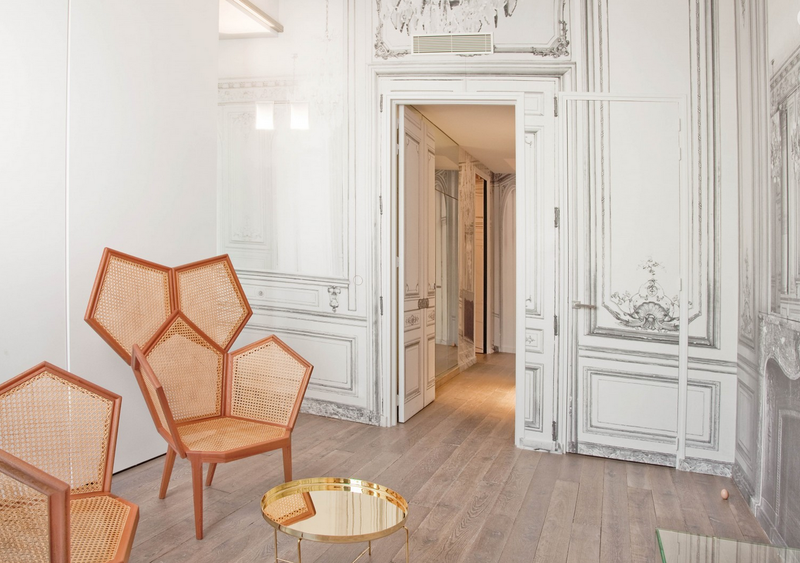 The Maison Champs-Elysées in the heart of Paris’s “Golden Triangle” has completed its metamorphosis into a sumptuous 5 star boutique hotel under the artistic direction of the fashion designer Martin Margiela. The renovation was done by architect Daniel Darmon. 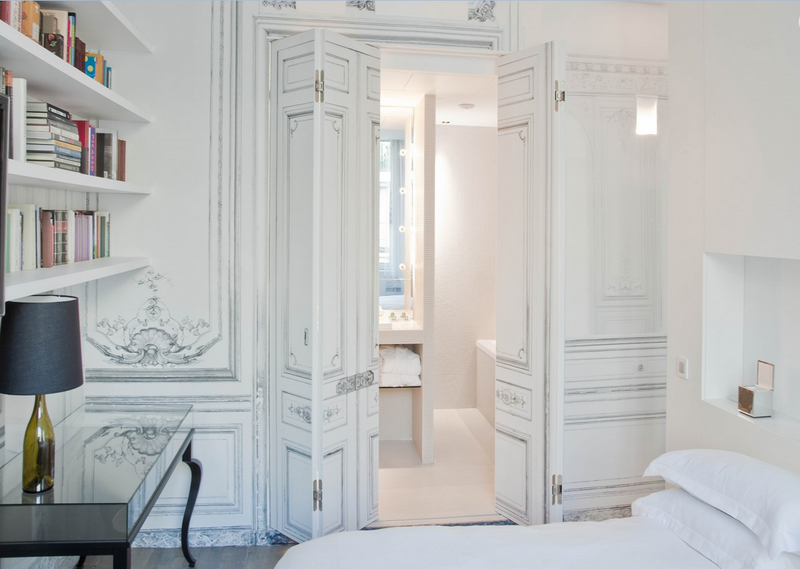 40 refurbished rooms, a smoking room, restaurant & bar looking out onto a terrace and the private garden in addition to 17 brand new ‘Couture’ rooms and suites designed by Maison Martin Margiela. As the façade, retaining all its former first empire splendor and glory, before the main staircase goes to show, la Maison des Centraliens has been renovated in such a way that it is in keeping with the school’s heritage and the hotel’s specific architecture. The hotel’s emblematic second empire Essling lounges, on the second floor, have been restored exactly as they were, the coving re-gilded with gold leaf by expert craftsmen. Today, both visitors and the school’s members alike, may discover a building that has been thoroughly updated and ready to take on the 21st century. In addition to these renovations, the architect, Danièle Damon, has carried out a complete reconstruction. The restaurant now spans the downstairs floor and opens onto the garden and terrace looking over l’impasse Antin. The recently constructed glass roof brings light and calm. The kitchen has been moved to the basement and rearranged according to current norms. 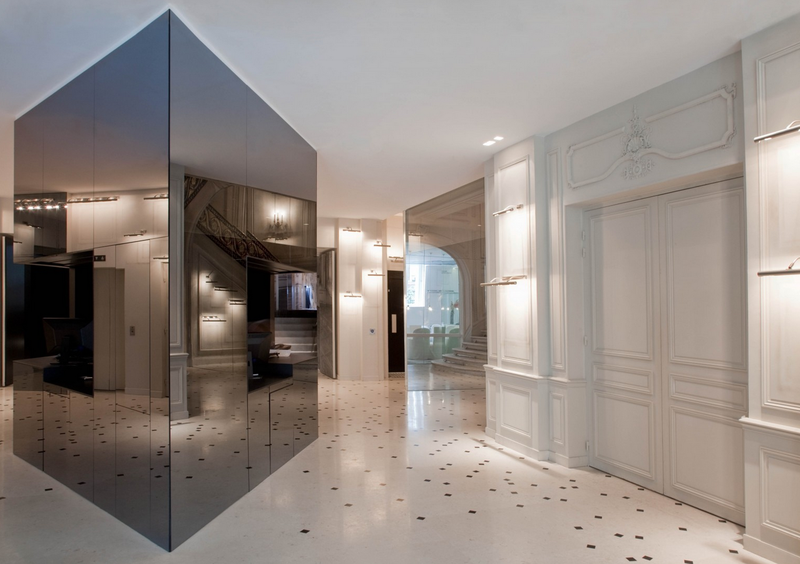 Premises on the third and fourth floors of the hotel were freed up to construct the 17 Couture rooms and suites, a task assigned to designers at Maison Martin Margiela after winning a competition. With their help, the House will become a cornerstone landmark, giving it spectacular notoriety. The fifth and sixth floors are now ready to welcome the Alumni from the central school. For room availability and prices, you can check their website.